410 in stock Need More ? Reprint. Published in Scotland. This translation originally published: London: Ernest Benn, 1982. 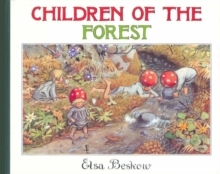 The children of the forest live deep in the roots of an old pine tree. They collect wild mushrooms and blueberries and shelter under toadstools when it rains.